Georgianna Ziegler. Photo by Chris Hartlove. A vital role that the Folger Shakespeare Library plays is to bring people together with materials from Shakespeare’s world, whether through exhibitions, digital content, or special tours. As you’ll see, some famous visitors have brought that notion to life in an unusual way. Located in Washington, DC, the Folger has found in recent years that materials related to Elizabeth I—who ruled England, alone and unmarried, for most of Shakespeare’s life—have a powerful connection with women who are pioneering new roles on the Supreme Court or in the Senate. Meanwhile, well-known authors and actors have responded to other, very different rare materials in an equally strong way. The following stories, many of which are shared here for the first time, are taken from a farewell interview with Georgianna Ziegler, Louis B. Thalheimer Associate Librarian and Head of Reference Emerita. As a reference librarian, Ziegler chose and presented rare materials for numerous tours and visits during her years at the Folger. She retired this year. Let’s start with the author Salman Rushie, who will be giving the inaugural Eudora Welty Lecture, presented by the PEN/Faulkner Foundation, at the Washington National Cathedral on October 20. One of the really special tours was just a few years after I came to the Folger. 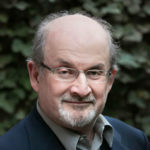 Richard Kuhta, the Librarian, stopped in my office after everyone was gone and said, “Could you do a tour for Salman Rushdie tomorrow?” This was when Rushdie was still under the fatwa, so it had to be very secret. He showed up with Bill Buford, the New Yorker fiction editor. There was a little piece in the New Yorker about it. I showed him the only known copy of a quarto of Titus Andronicus and a proclamation by Elizabeth I against the circulation of seditious books. William Shakespeare. 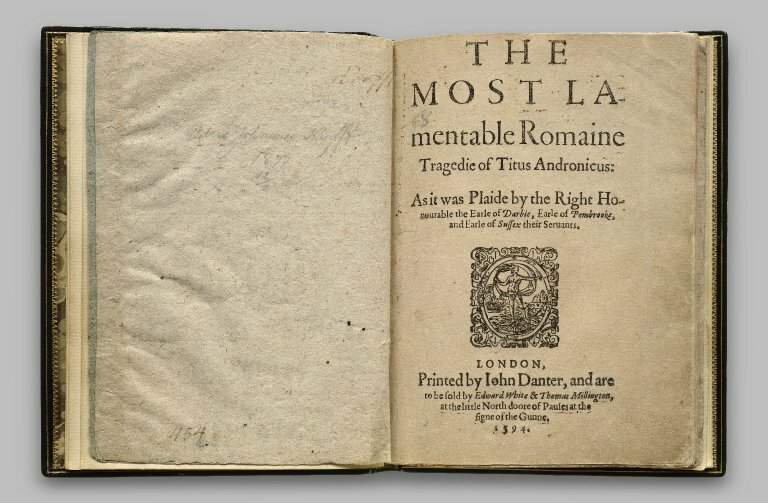 Quarto of Titus Andronicus. 1594. Folger Shakespeare Library. Sandra Day O’Connor came to the opening for the Elizabeth I exhibition. We’re right across the street from the Supreme Court, after all. She was impressed with it, so she said she wanted to bring Ruth Bader Ginsburg. And so she and Ruth Ginsburg came, just the two of them one day, two ladies walking across the street with their umbrella, and Gail Kern Paster (who was then the director) and I welcomed them. The thing that Sandra Day O’Connor was so interested in—and she drew Ruth Ginsburg over and said, “You have to look at this”—was the great Gift Roll of Elizabeth I, which was partly unrolled in a case on the wall. And it was pretty impressive. That was her Gift Roll of New Year’s gifts, which she would have received for 1584/1585. And they stayed and had lunch with Gail and me. About a year later, they invited us for lunch, and gave us a tour of the Supreme Court. New Year’s gift roll of Elizabeth I, Queen of England. January 1, 1584/85. Folger Shakespeare Library. Elizabeth I’s pulpit Bible. London, 1568. Folger Shakespeare Library. Just a few years ago, there was a reprise of that. Mike Witmore, the Folger director, and Senator Kirsten Gillibrand invited a group of women from the Senate. We met in the Boardroom, and I had out the Elizabethan Gift Roll again and Elizabeth’s Bible, which they all wanted to see. They didn’t all come at the same time, because they had various responsibilities. I would start talking about what was there to whomever was new or coming in, and then Kirsten Gillibrand was able to jump in and help, because she got to know what I was talking about. Then, Barbara Mikulski showed up. She is the dean of the women Senators, and we’d been talking about how long Elizabeth was on the throne. And someone said, “See, Barbara!” She’d been in the Senate longer than any of the other women there, but not quite as long as Elizabeth’s reign! Vanessa Redgrave came because she was in Washington, starring in the Greek play Hecuba. She got in touch with Janet Griffin (the director of public programs and Folger Theatre artistic producer) and said, “Lynnie told me I should come.” Her sister, Lynn Redgrave, was on the Folger board. Vanessa showed up and she was dressed all in black. She was having trouble with her knees, because she was doing a lot of falling to the floor in this Greek tragedy, but I ended up taking her down to the vault. Of all the people I met, she was the one that I was most nervous about meeting beforehand—there’s a sort of aura about Vanessa Redgrave. But we had a delightful time. I showed her an early copy of a Renaissance edition of the Greek tragedies. It was Euripides that she was working with. 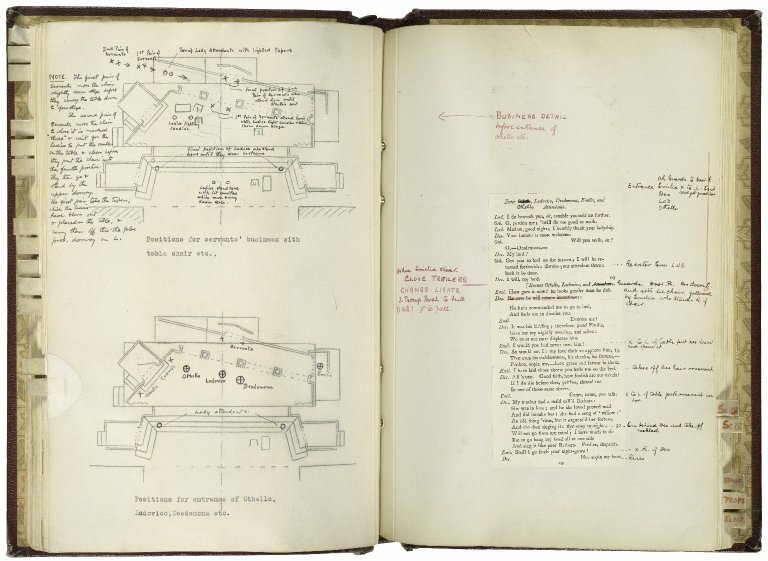 I also showed her the promptbook for the Paul Robeson 1930 London production of Othello, which starred Dame Peggy Ashcroft. At that point, Vanessa said, “Oh, my parents knew Peggy Ashcroft!” And then she launched into this whole thing about Peggy Ashcroft, which was great. I wished I had a recorder there. It would have been so nice to get down all of her memories about her parents and Peggy Ashcroft. Promptbook for Shakespeare’s Othello, as produced at the Savoy Theatre, London, on May 19, 1930. Starring Paul Robeson as Othello, Peggy Ashcroft as Desdemona, and Maurice Browne as Iago. Folger Shakespeare Library. 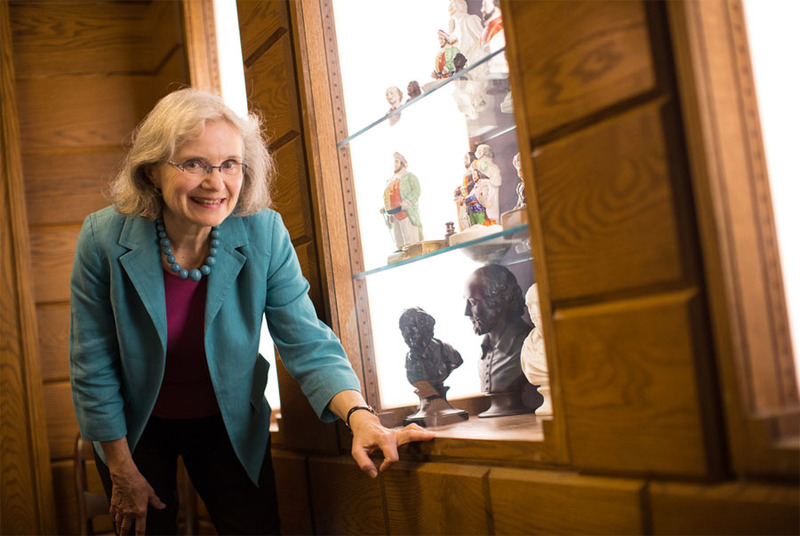 These stories are from an interview with Georgianna Ziegler, Louis B. Thalheimer Associate Librarian and Head of Reference Emerita, some of which appears in the Fall 2016 issue of Folger Magazine. The magazine is complimentary for members of the Folger. Esther Ferington conducted the interview with Georgianna Ziegler.